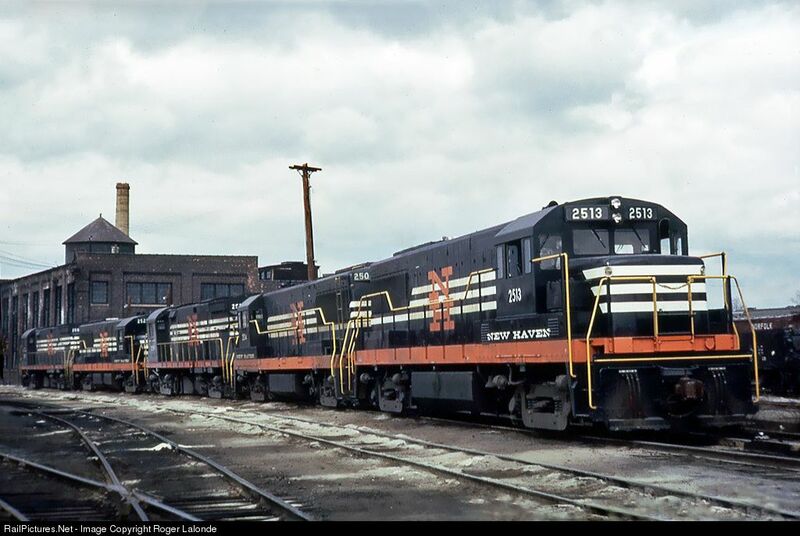 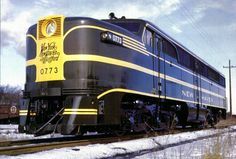 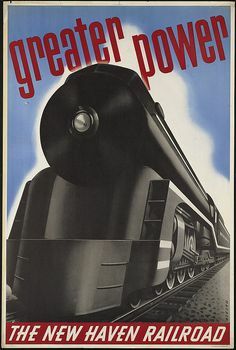 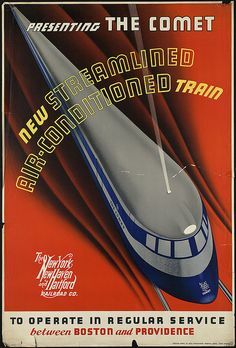 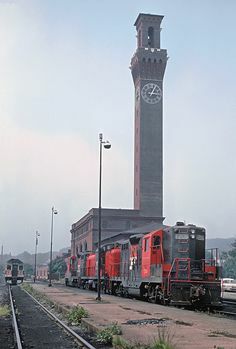 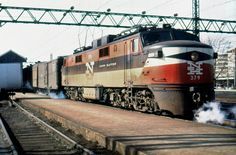 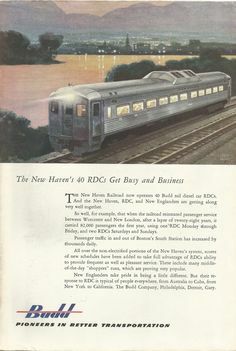 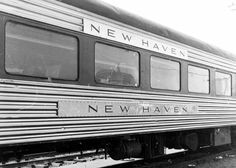 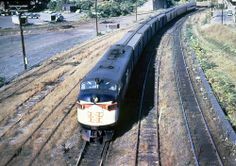 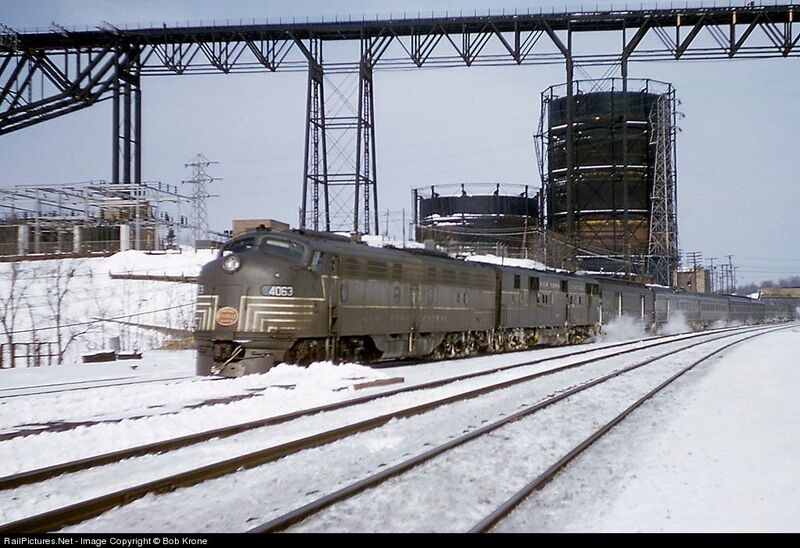 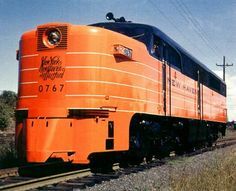 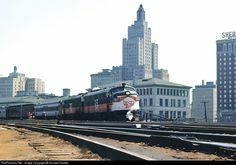 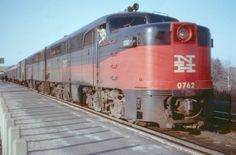 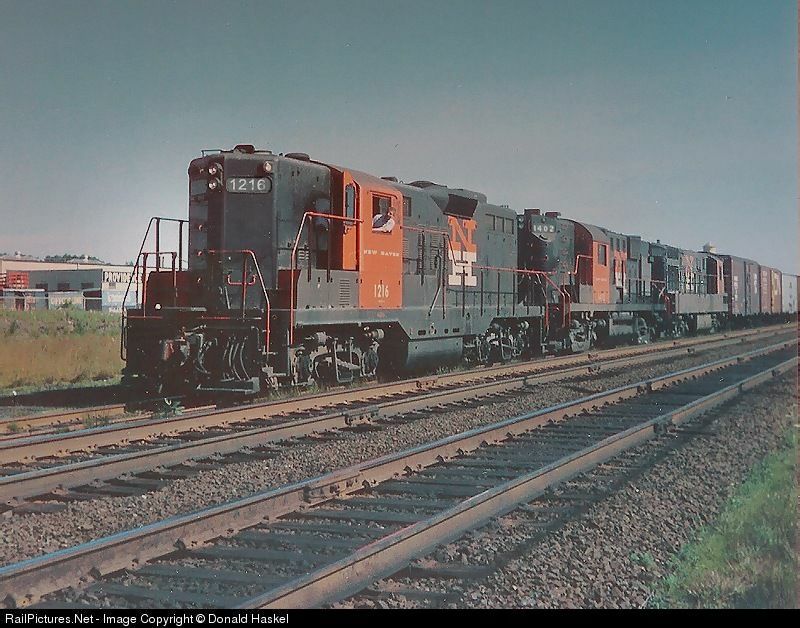 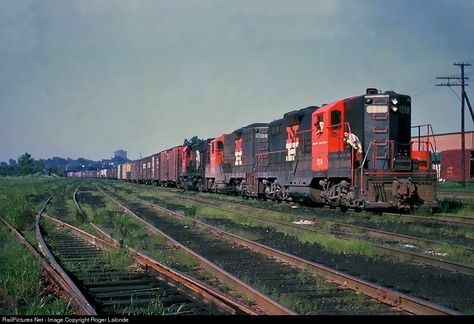 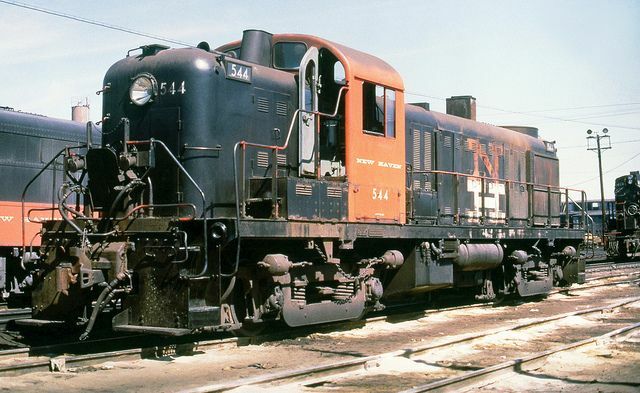 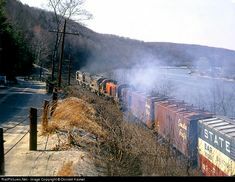 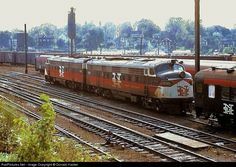 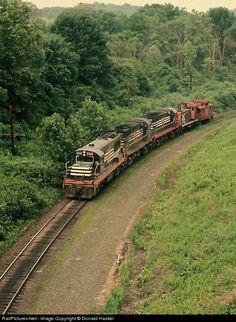 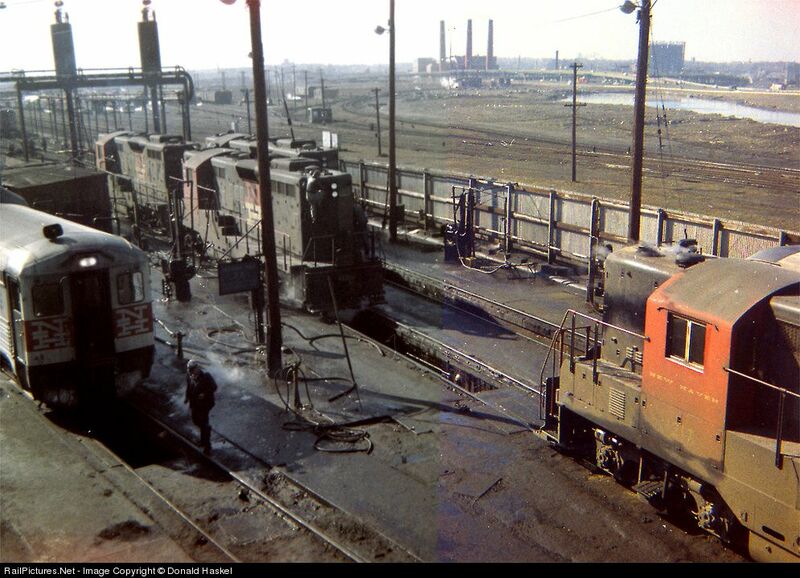 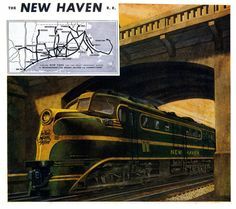 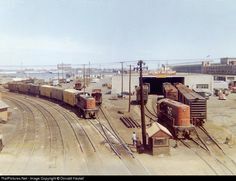 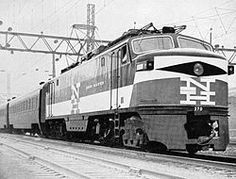 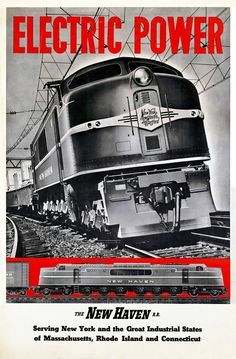 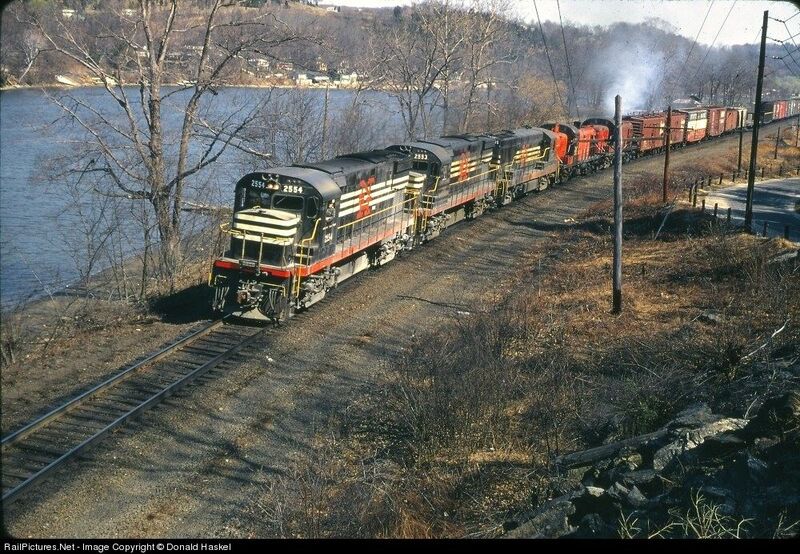 NH, 1954 New York, New Haven and Hartford Alco DL-109 no. 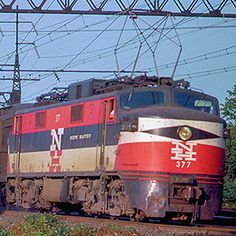 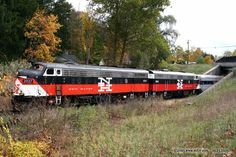 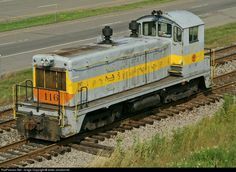 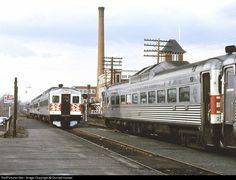 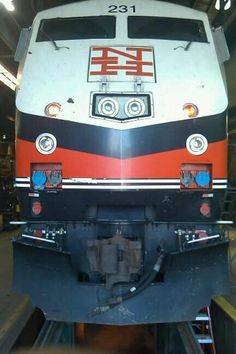 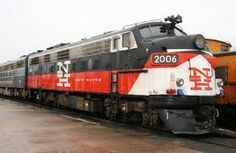 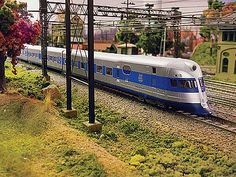 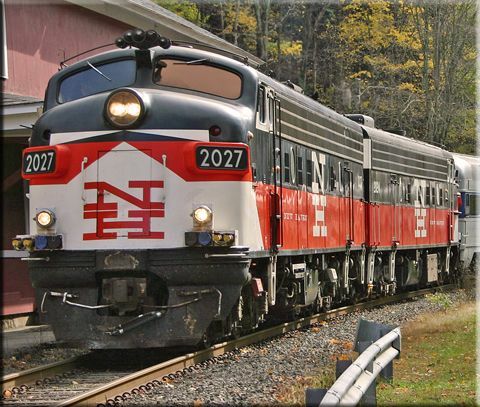 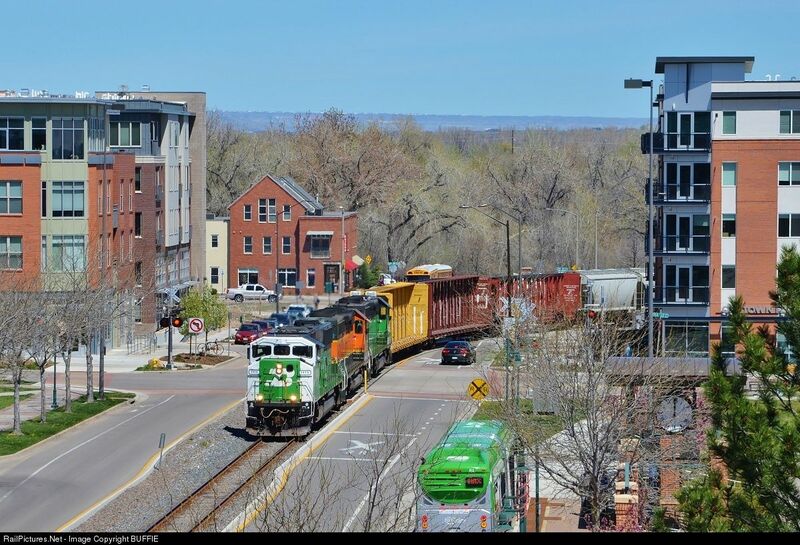 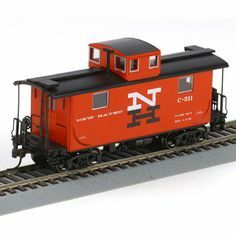 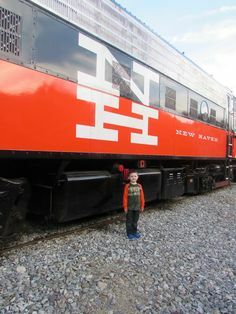 New Haven EMD FL9 Dual Power Locomotive. 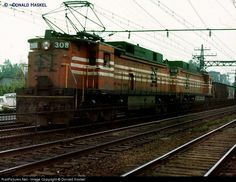 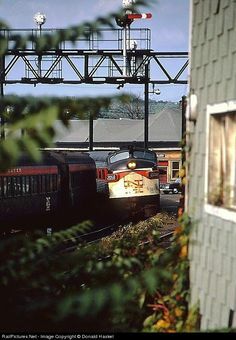 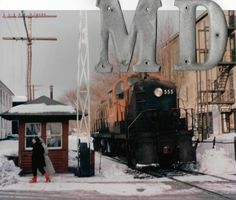 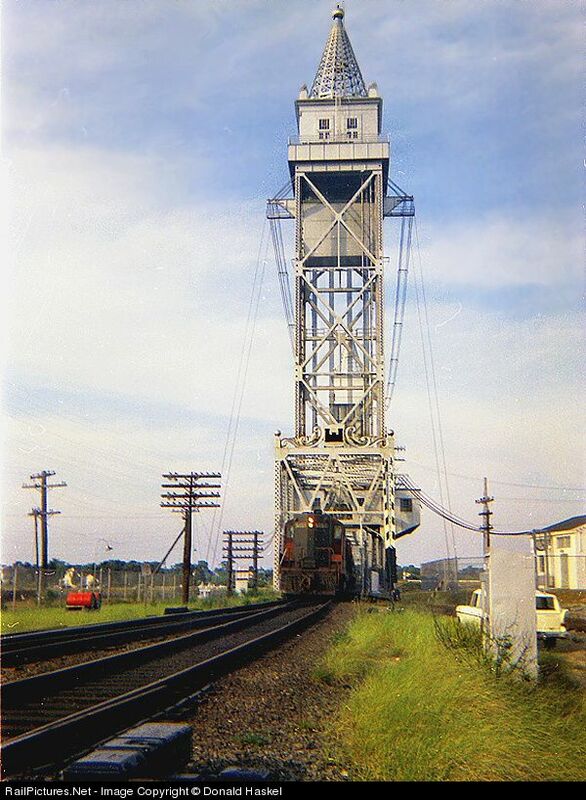 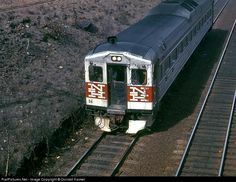 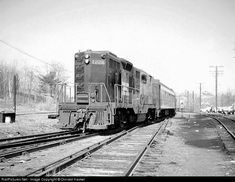 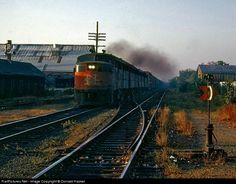 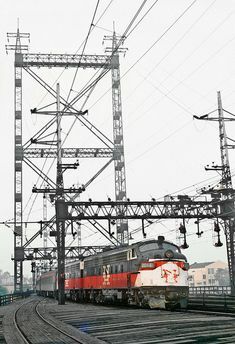 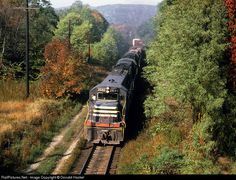 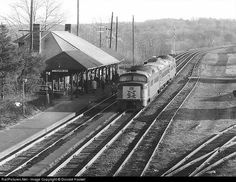 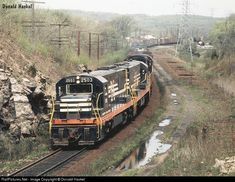 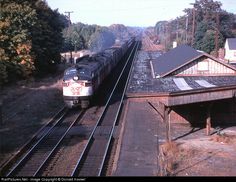 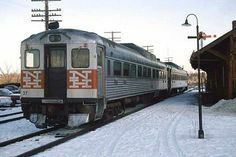 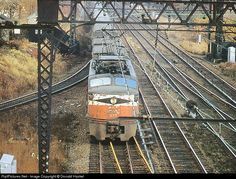 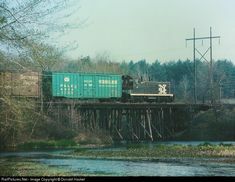 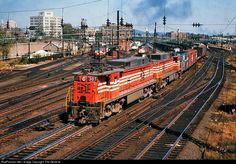 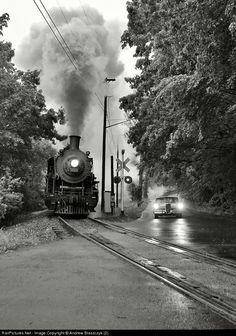 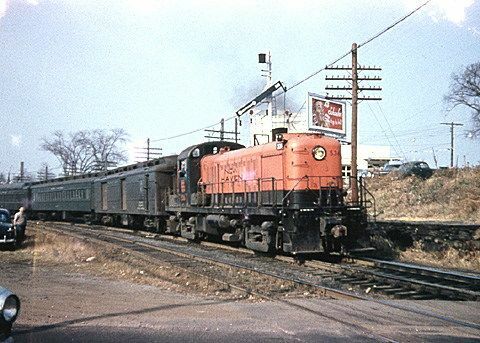 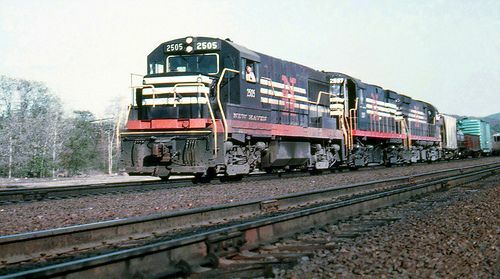 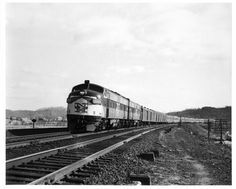 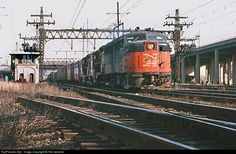 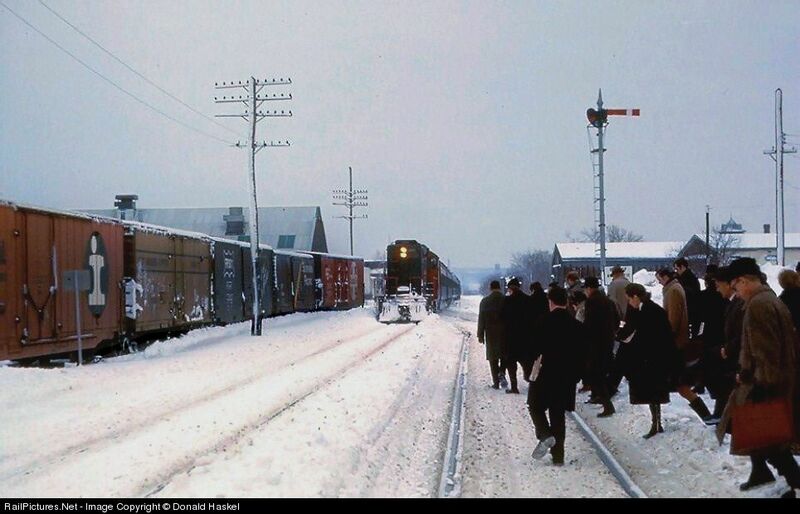 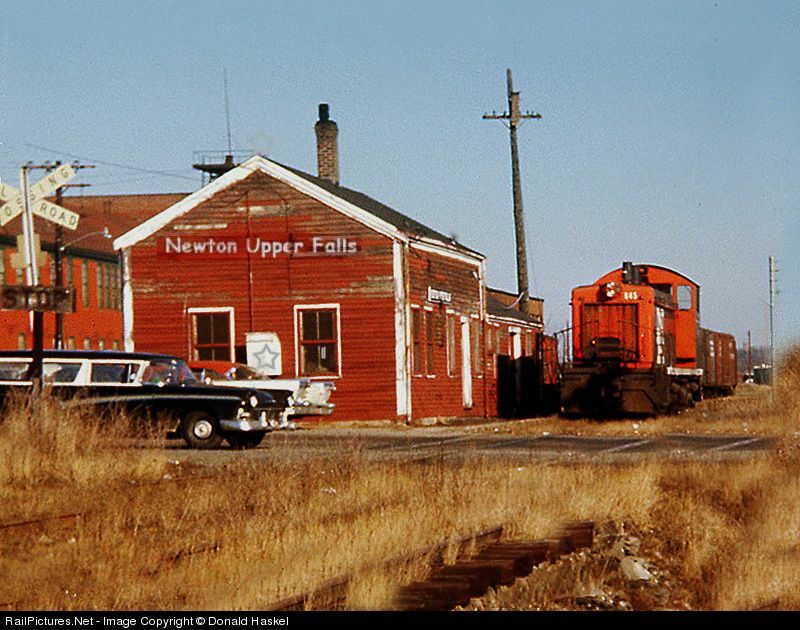 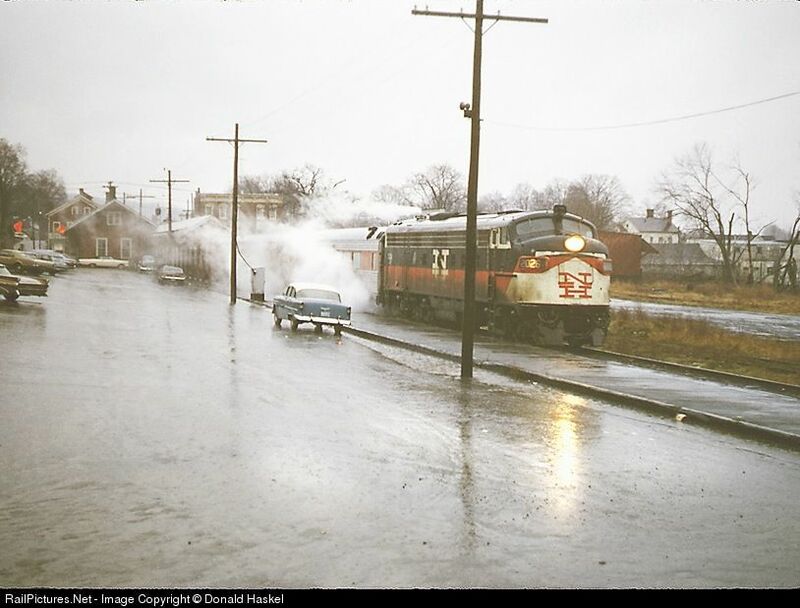 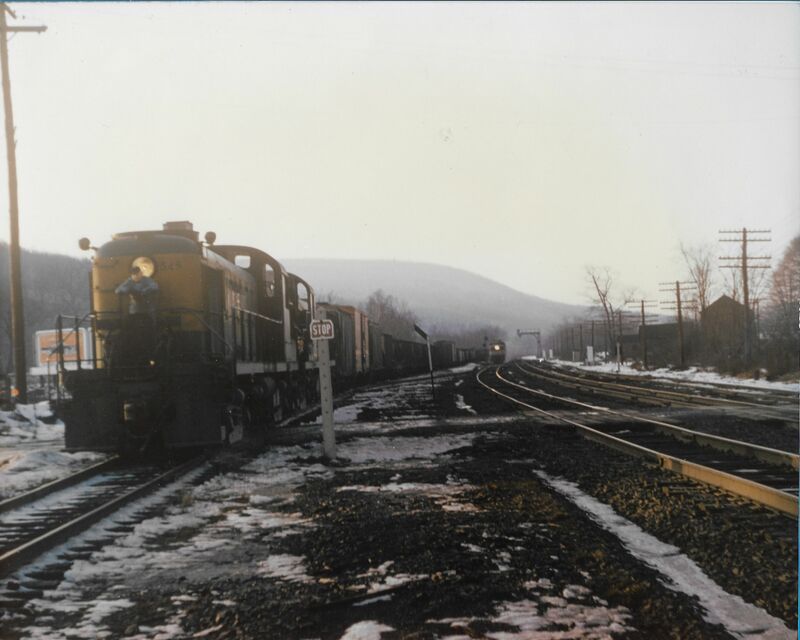 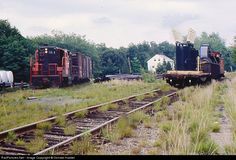 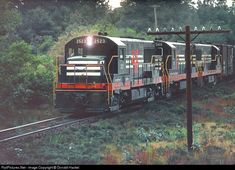 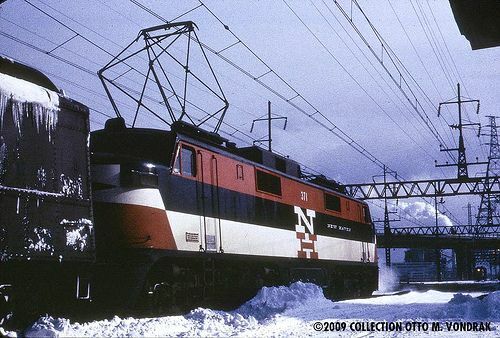 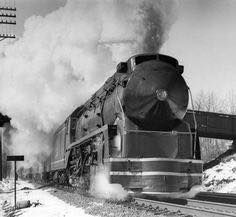 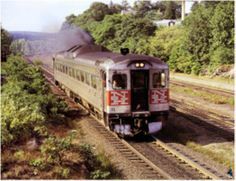 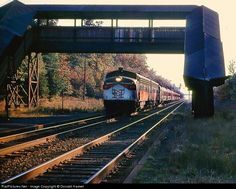 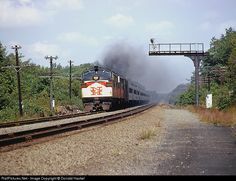 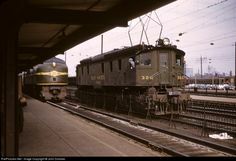 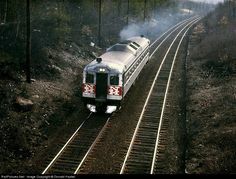 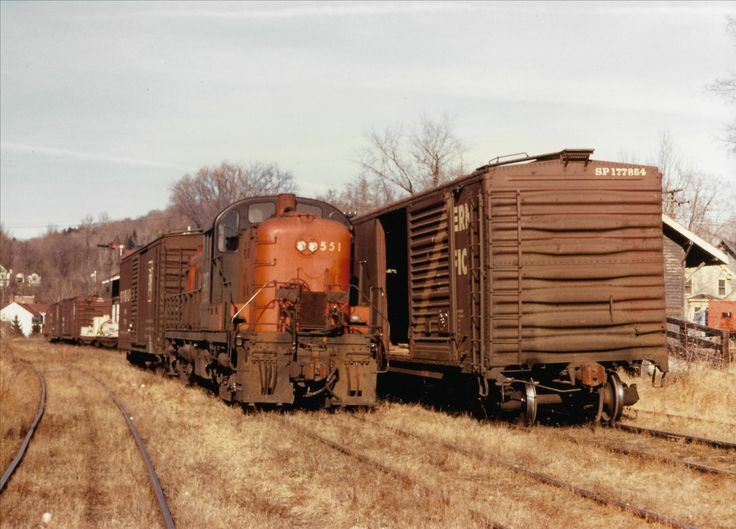 RailPictures.Net Photo: PC 2933 Penn Central GE U30B at the home signal at the diamond, Walpole, Massachusetts by Donald Haskel, December, 1972. 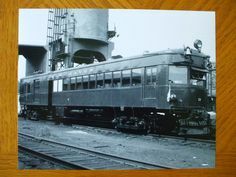 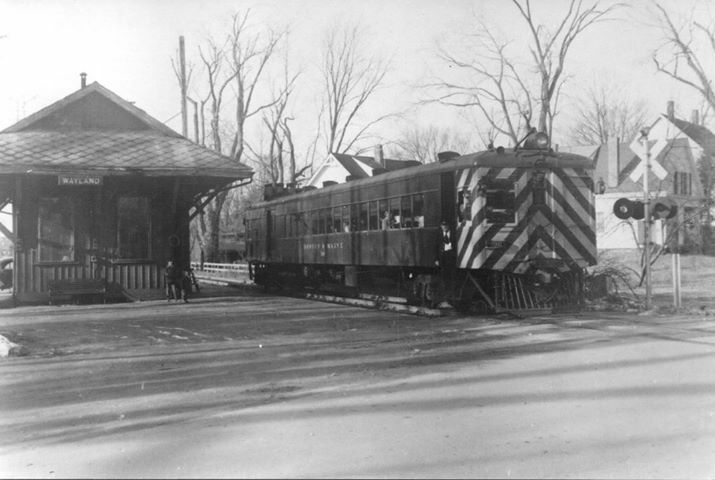 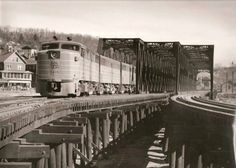 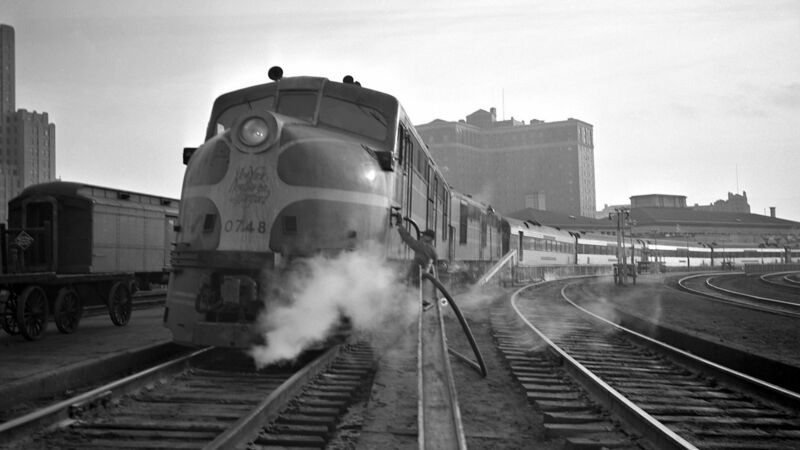 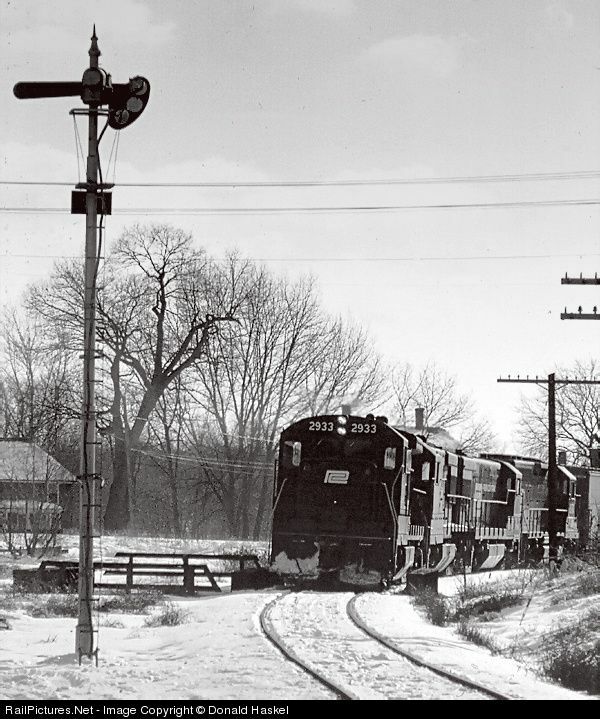 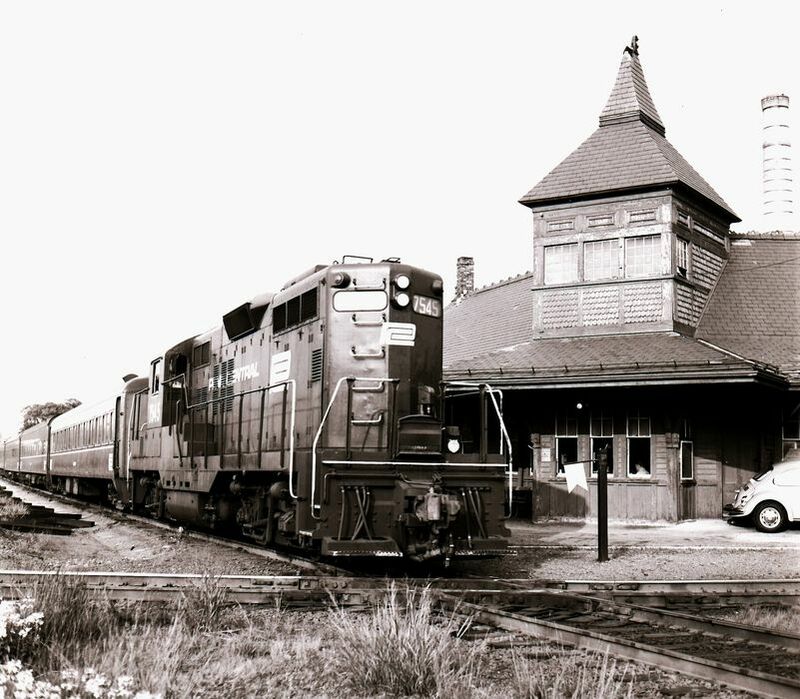 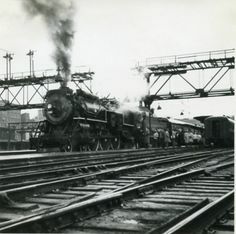 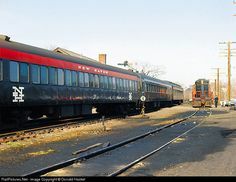 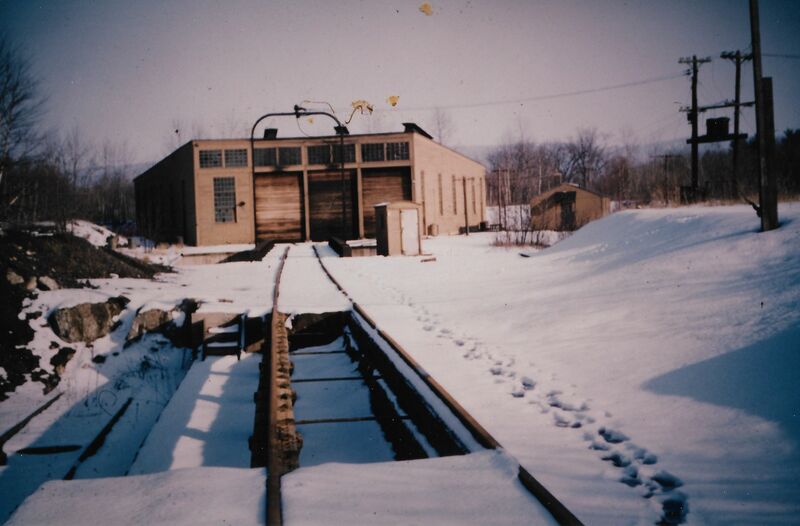 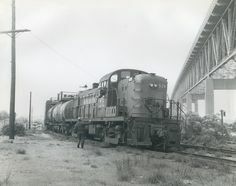 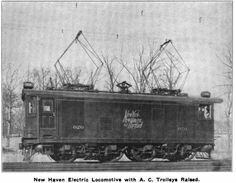 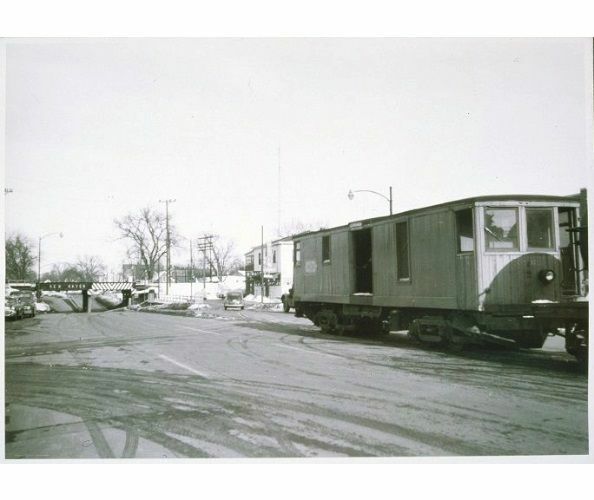 Boston and Maine Gas-electric car 196 at Wayland, on the Central Mass branch in 1948. 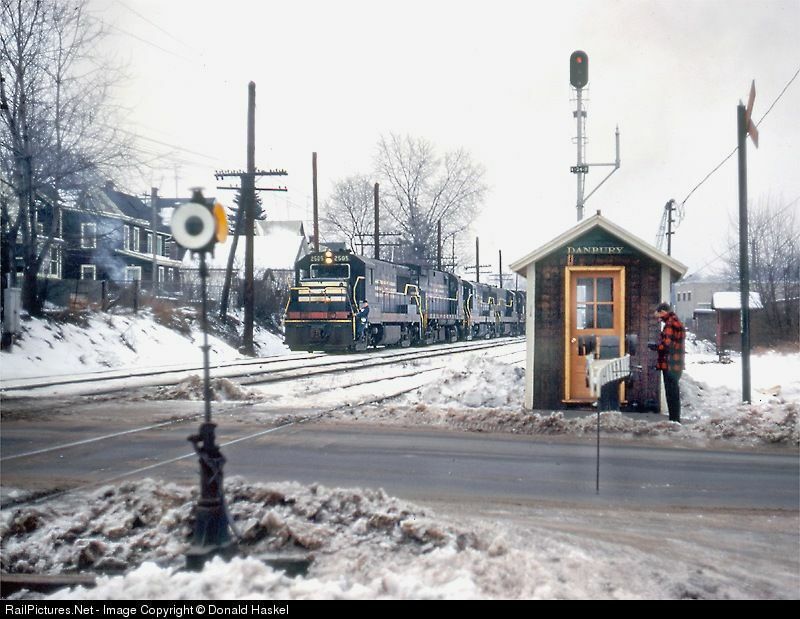 Photo: Neve Dimock, Richard Sanborn Collection.